Dan Ramos was elected State Representative in 2010, taking the oath of office in January 2011. This is his first public office. A Lorain native of Puerto Rican descent, Ramos is a graduate of Lorain Admiral King High School and The Ohio State University. He is the first Hispanic Representative of either caucus in either the House or Senate to serve in a leadership position, serving as Assistant Minority Whip. Prior to elected office, Ramos began his legislative service as a Legislative Aide to then Representative Joseph F. Koziura (D-Lorain), and later worked as a Senior Policy and Budget Analyst under Minority Leader Beatty and Speaker Budish. In addition to his work in the Ohio House of Representatives, Ramos has also been a caseworker at the Lorain County Department of Job & Family Services. While in office, Ramos has worked to help pass comprehensive state pension reform, ensuring the long-term solvency and funding requirements of each of the five pension systems serving more than one million Ohioans. 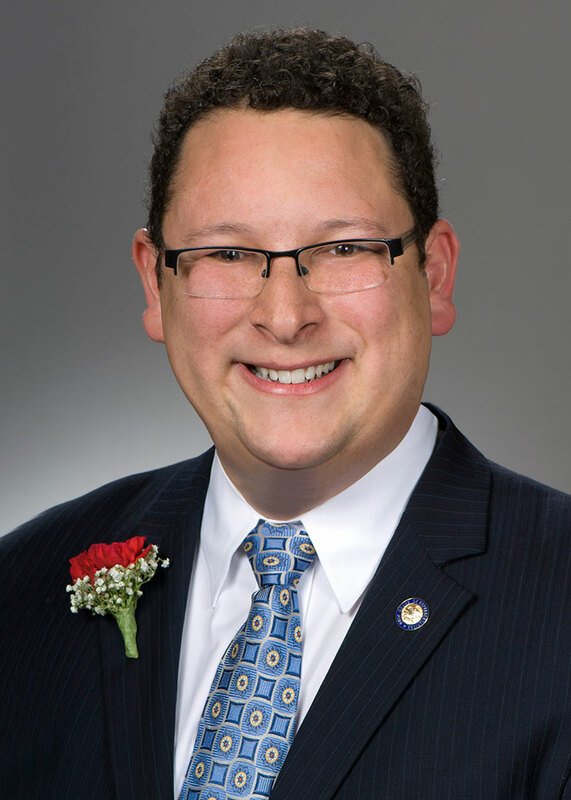 As a member of the House committee that considered Senate Bill 5, Ramos has remained an outspoken proponent of the right to collectively bargain believing that the key to Ohio’s future successes is a strong middle class. Additionally, Ramos has fought against the cuts to Local Government Funding, to overturn the Citizens United Supreme Court ruling, to stop the attacks against women and their personal healthcare choices, and to expand need-based college funding to increase college completion rates in Ohio. Ramos continues to be an advocate of protecting our environment and developing a green energy infrastructure, better funding our schools and addressing the constitutional issues raised in the Ohio Supreme Court’s decision more than a decade ago, and improving government transparency so that citizens have increased access to the work done in the Statehouse. In addition to leadership positions on House standing committees, Ramos serves on the Ohio Commission on Hispanic and Latino Affairs, the Ohio School Facilities Commission, the Ohio Retirement Study Council, and as an executive member to the Council of State Government’s Great Lakes Legislative Caucus. State Representative Dan Ramos resides in Lorain.